To date, 21 premises in eight Texas counties have been confirmed with VS. Affected counties include(d): Kinney, Hidalgo, San Patricio, Nueces, Jim Wells, Bastrop, Travis and Guadalupe counties. Four premises have been released from quarantine: 1 in Kinney county, 2 in Nueces county and 1 in San Patricio county. The newly identified infected premises are currently under quarantine by the TAHC. Affected horses will be monitored by regulatory veterinarians while under quarantine. Premises are eligible for quarantine release 21 days after all lesions have healed. There is no known exposure to other horses around the state, or at any equine events. On July 18, the TAHC received confirmation of three new cases of Vesicular Stomatitis (VS) in horses in Central Texas. One premises is located 4 miles east of Webberville, Texas in Bastrop County, one premises is located 1 mile northwest of Webberville in Travis County, and one premises is located 8 miles southeast of Seguin in Guadalupe County. On July 11, two cases of VS in horses in Bastrop and Travis counties (Central Texas) were announced. One premises is located 2 miles east of Webberville, Texas in Travis County. The other premise is located 4 miles east of Webberville in Bastrop County. On July 8, the first VS case in Texas cattle was announced. It was detected in two head of cattle in South Texas, approximately 6 miles southwest of Mathis, Texas. On July 3, a case of VS was announced in a horse in Nueces County in South Texas. The premises is located approximately 10 miles south of Mathis, Texas. On June 20, a case of VS was announced in Nueces County. The premises is located 10 miles south of Mathis, Texas. On June 17, two cases of VS were confirmed in horses in San Patricio County in South Texas. One premises is located approximately 7 Â½ miles southeast of Mathis. The other premises is located approximately 7 miles southeast of Mathis. 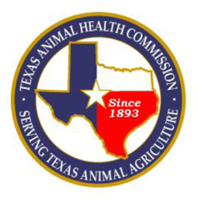 On May 28, the TAHC announced confirmation of the nationâ€™s first case of VS this year in horses in Kinney County, Texas (southeast of Del Rio). For additional information, contact your local TAHC region office http://www.tahc.texas.gov/agency/TAHC_RegionalOfficeMap_2013.pdf.